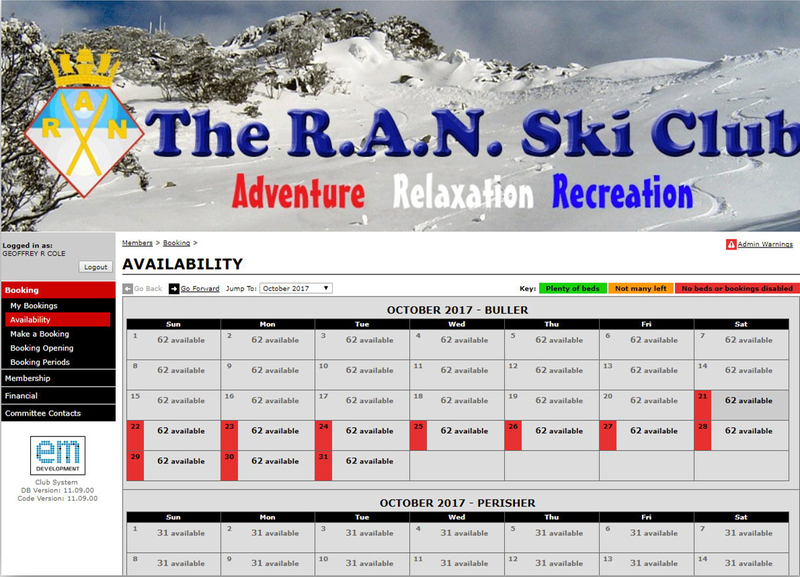 Club System will be linked to our Website very soon and we plan to use at member’s option, for accommodation bookings at Perisher soon (updated 3 March). 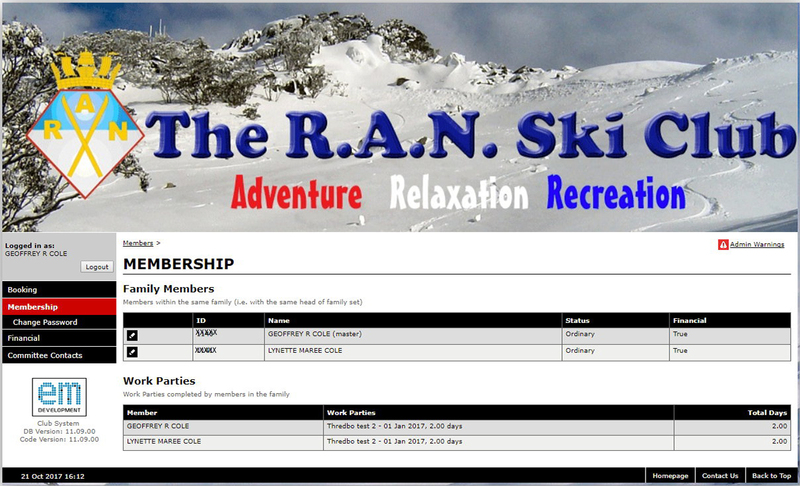 Each member will have a log in (your email address) and password to enable use of Club System. Initially, temporary passwords will be distributed by email to the latest email address we have for you. On first log in, you will need to change the password to one of your own choice, as the system will not allow you to proceed until this is done, for obvious security reasons. Booking Periods – ie when different rates apply such as low season, high season etc as detailed in the Booking Rules. 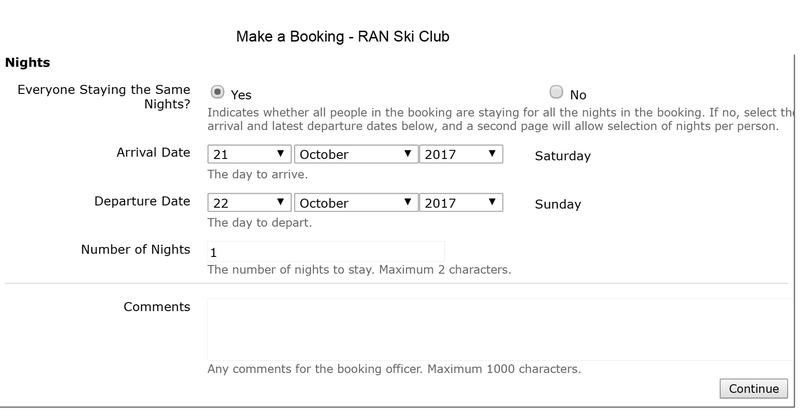 The booking form is pretty much self explanatory. 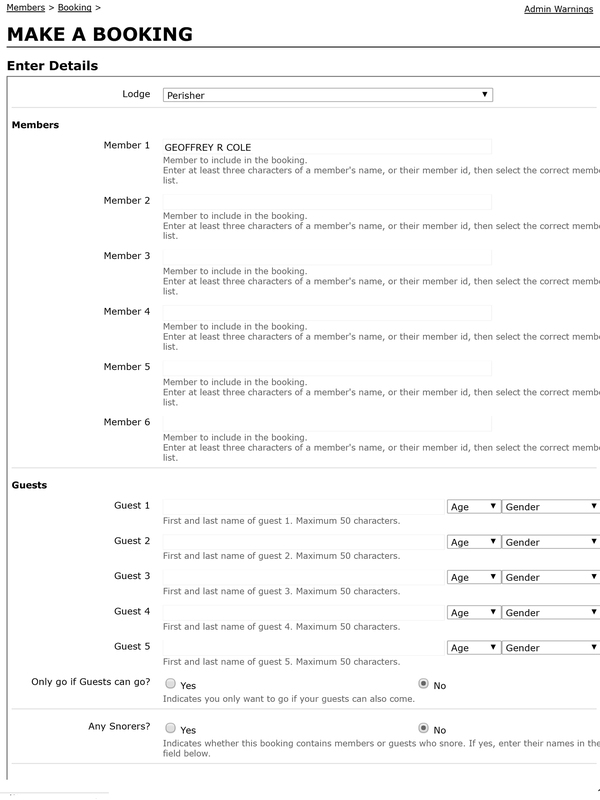 If you don’t select a lodge from the drop down list, or select options where marked in red, you can’t complete the form. It’s important to complete the age and gender boxes to enable appropriate bed allocation in multi berth cabins. 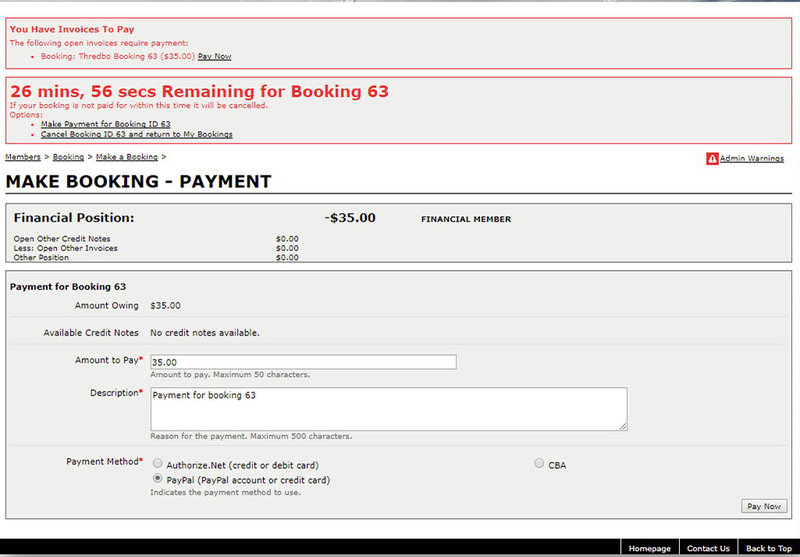 Hit continue to take you to the confirm booking page. 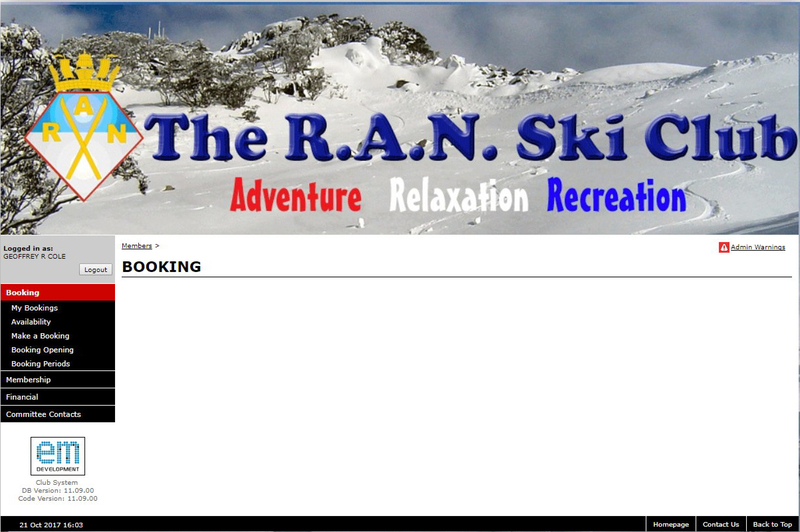 The only online payment option available to RAN Ski Club is PayPal. Disregard the “Authorize.Net” and “CBA” options which now don’t appear on our version. If you want to pay by Cash, cheque or Credit Card, you’ll need to use the traditional offline process. If you have any questions, please email me at the address on the home page..